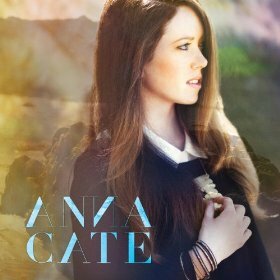 One of Nathan’s childhood friends, Anna Cate, did a Kickstarter a while ago to raise money so she could record her music in a studio. And it’s now on iTunes and Amazon . I’m not promoting this because she was a friend of Nathan’s. In fact, she doesn’t know that I am writing about her on SMM. Hi, Anna, if you are reading this! I am telling you about her music because I personally love it. She plays the harp. I know, how cool is that?! And she released her first self titled album just last month. She plays the harp and sings original songs by her in the album. And to me, it has some of the Sarah McLachlan vibe to it. Here’s a music video she has of one of her songs for you to enjoy. And go give her some love by checking out her website. It’s so hard for artists and musicians to make it these days. So watch the music video or listen to her music and tell me what you think. » Tell me… What kind of music do you like to listen to? What is on your mommy playlist right now? That was a really amazing song! The harp is so beautiful! Going to Amazon to buy the CD right now, thanks for sharing! I have her CD-a great sound & I love her lyrics! I watched her grow up playing the harp. A beautiful girl in every way! Wish her the very best with her music! Go Anna Cate! I love this so much I hope you don’t mind I shared her on FB. I have friends around the world that would love to hear Anna Cate. A girl and her harp, so beautiful. Thank you so much for sharing Tiffany!